Situated in Kadina, this motel is within 9 mi (15 km) of Wallaroo Golf Course, Wallaroo Heritage and Nautical Museum, and Cooper Cove Marina. With direct access to the beach, this Port Hughes campground is next to a golf course and within a 10-minute walk of Port Hughes Waterfront Park, Port Hughes Jetty, and Simms Cove. Copperclub Golf Course and Port Hughes Boat Ramp are also within 1 mi (2 km). Situated near the beach, this motel is within 6 mi (10 km) of Wallaroo Golf Course, Wallaroo Heritage and Nautical Museum, and Cooper Cove Marina. Moonta Golf Course and Moonta Mines Railway and Museum are also within 12 mi (20 km). Situated in Wallaroo, this hotel is within a 10-minute walk of Wallaroo Heritage and Nautical Museum and Wallaroo Golf Course. Cooper Cove Marina is 1 mi (1.5 km) away. 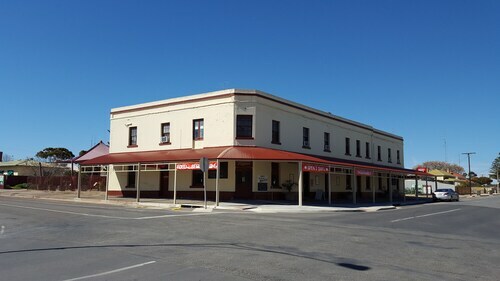 Central Kadina has very few accommodation options. If you're okay with a small drive, you can choose to stay in any of the 3 options within 10 kilometres. Some of the nicest accommodation options close to the main action are the Wallaroo Marina Apartments and The Anglers Inn. If you're still on the hunt for somewhere to sleep in Kadina, don't freak out just yet. Check out the Port Hughes Tourist Park, 19 kilometres from the city's core. 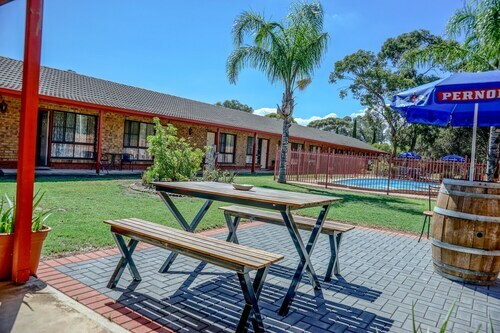 If that doesn't suit you, try the Kadina Gateway Motor Inn, 2 kilometres away. After you've cruised Kadina for a while, spread your wings and discover Clare Valley - Yorke Peninsula's other offerings. Clare Valley - Yorke Peninsula has rural landscapes and beaches. Popular Clare Valley - Yorke Peninsula tourist attractions are the farms. Visitors in this section of Australia can also enjoy shore fishing. The nearby localities of Boconnoc Park and Armagh are worth going to. Boconnoc Park is 80 kilometres to the east of Kadina, while Armagh is 80 kilometres to the east. Boconnoc Park hotels include the Brown's House Bed and Breakfast and Patly Hill Farm. Armagh choices are the Comfort Inn Clare Central and Clare Country Club. Whyalla Airport is located 100 kilometres from the centre of Kadina. 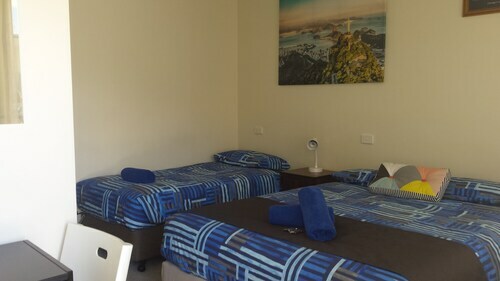 If you wish to stay close by, you can easily secure a room at the Best Western Alexander Motel Whyalla or the Airport Whyalla Motel. How Much is a Hotel Room in Kadina? Hotels in Kadina start at AU$64 per night. Prices and availability subject to change. Additional terms may apply.